This is an extract from a Letter to the Editor published in The Bendigo Advertiser. The other day I attended an event along the O”Keefe Rail Trail. The ride commenced from Lake Weeroona from where we were bussed to Knowsley. Here we met an elderly gentleman who indicated he rode the trail every day and, given a recent heart condition, this provided the exercise and fitness regime he required. He enjoys the trail and appreciates the work and efforts put in to create this great connect. We also came across a number of riders from the Melbourne area who worked in the firefighting industry and were using the trail to both promote and build their teams’ wellbeing. It is a fantastic ride from Knowsley and with the assistance of lunch provided at the Lake Eppalock site and a well-earned break, we continued through the forest to a winery on the edge of Heathcote. Here we heard about the history and wine that we sampled before moving on to the Heathcote tourist centre where we were welcomed. The company and history we discussed and the terrain we rode through was fantastic. It is a relaxing ride and you can go as quickly or slowly as you please. I am now confident enough to tackle the entire trip, but the lure of the tavern at Axedale may be too great to complete the entire trip in one day. I would like to take the time to thank the staff at Bendigo who organised the trip, the friends of the O’Keefe Rail Trail who accompanied us and my fellow riders who shared the ride and their views of the world. I would also encourage anyone who has thought about making the trip to jump on your bikes and enjoy the scenery. 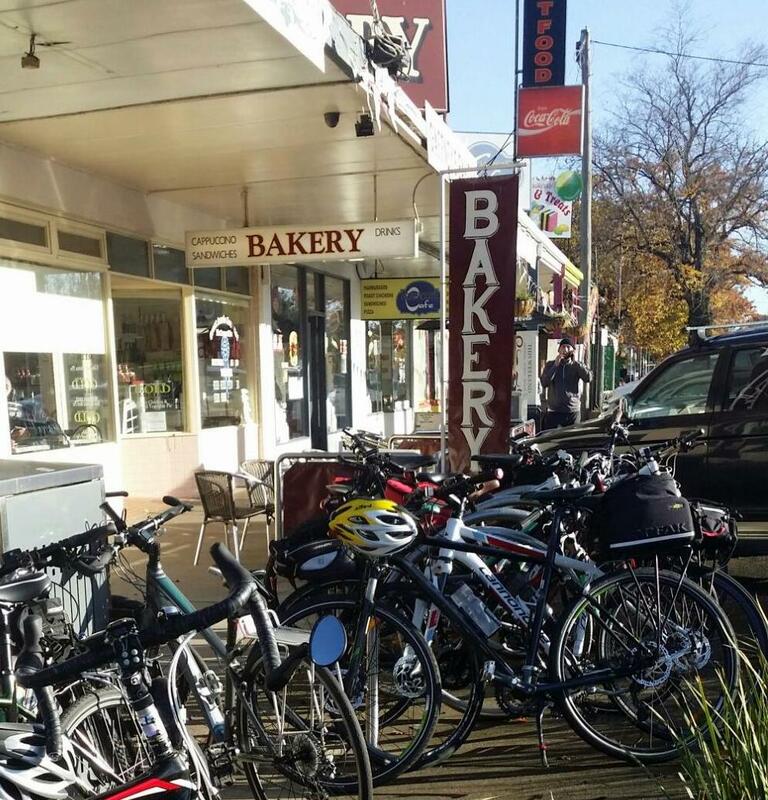 It is a relaxing, changeable and safe way to enjoy the landscapes and countryside surrounding Bendigo and Heathcote. It will over time, I believe, become a fantastic destination for people of all ages to both ride and walk in our unique countryside . Thanks again to all those involved and I look forward to the O’Keefe marathon and the increased tourism and participation the trail will bring to our region. PS great to see the mile post sadly stolen from the trail returned.